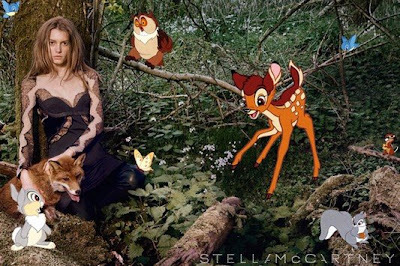 Stella McCartney released her latest advertising campaign which brings Bambi and a slew of Disney characters together with high fashion. I love this campaign! And as Because I'm Addicted noted, it seems completely appropriate since Stella is a strict vegetarian and animal-lover who refuses to work with leather. 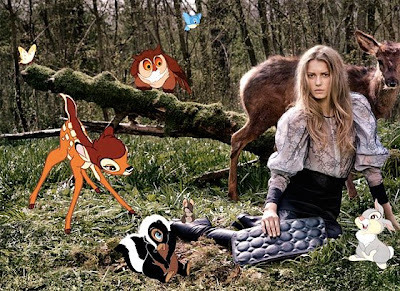 The irreverent tone of the ads and surreal images are a great contrast to the dark, romantic clothes.